NDLA 2016 will highlight nationally known speakers and regional experts in keynote and spotlight sessions. Julie Evans is the CEO of Project Tomorrow (www.tomorrow.org), a global education nonprofit organization that focuses on improving learning opportunities for students through the effective utilization of STEM resources. Previously, Ms. Evans was a executive with Unisys and two ed tech startups. She is a graduate of Brown University and serves on several nonprofit boards and corporate advisory councils. 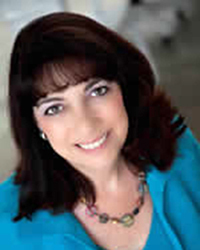 Ms. Evans is a frequent speaker and writer on K-12 and higher education issues around digital learning. In April 2008 she was named one of the Top Ten Most Influential People in Education Technology by eSchool News. Prior to being named Commissioner of Education by the State Board of Education on January 2, 2014, Dr. Blomstedt served as the Executive Director of the Nebraska Educational Service Unit Coordinating Council until December 2013. It was during that time that he provided leadership for the development of the Nebraska BlendEd Initiative. He previously served as the first full-time Executive Director of the Nebraska Rural Community Schools Association, a research analyst for the Education Committee of the Nebraska Legislature and has worked in a variety of policy research roles over the past 16 years. During this time, Dr. Blomstedt worked closely with policy makers, school district officials, and numerous educational stakeholders across Nebraska. 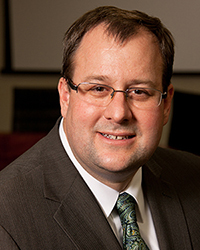 Dr. Blomstedt is a native Nebraskan whose career has focused on local, regional and statewide education issues. Blomstedt’s experience includes education finance and organization, assessment and accountability, professional development, and the development of systems to enhance blended and distance learning opportunities across the state. Marcia Kish has been working and implementing the Blended and Personalized Learning model across the country. Her most recent projects have been working with schools to implement rotation blended learning that focuses in on use data to drive the learning that allow students to move at their own pace, place, and path. Marcia has presented workshops on Blended Learning at the OETC 2014/15, ISTE 2014/15, College Campus Technology Conference 14, NWEA Fusion East 2014, Teaching and Learning iPad Conference, CUE 2015, and SITE 2015. Marcia has 17 years of teaching experience with 11 years in the classroom, four years as a professional development coordinator and blended learning coach for DSD Professional Development and one year as a Director of a Blended Learning School in Central Ohio. 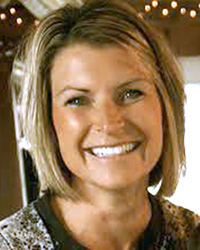 Marcia graduated from the University of Dayton with her bachelor degree in Elementary Education in 1998. She earned her master’s degree in Instructional Technology K-12 in 2007 from National University. Marcia’s workshops are all hands-on and differentiated for each type of learner. Participants in her workshops learn at their own pace, place, path, and are able to successfully implement the data tools into the rotational blended learning classroom.